Looking for a truly personalized birthday, anniversary, or graduation gift? Want a gift to cheer up a friend in another state? Need a quick way to decorate a new home or office space? 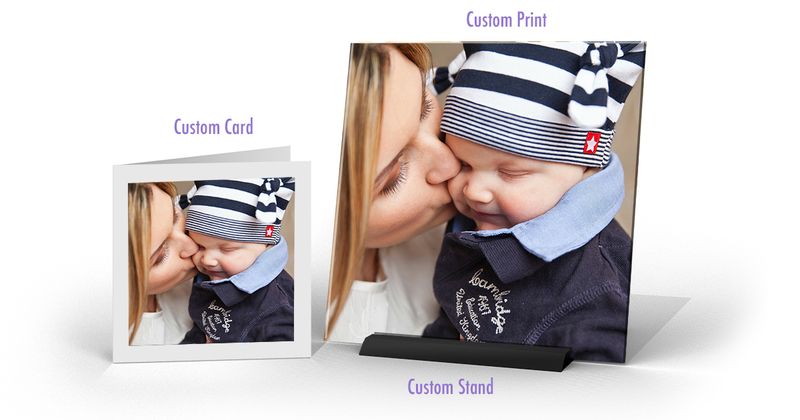 Easily send a photo gift from your phone with our new app! SpiffySquare by Artisan Colour is a quick and easy solution to gift giving. Some gifts are quite nice, and some gifts quite bland, but we’ve made a gift that is truly quite grand. Each one is so special, each one is unique, each one has its own card, and is so very sleek. No two are alike, because each one comes from you, they’ll open this gift and shout out woohoo! It’s just $44 for the print and the card, and that includes shipping, plus it’s really not hard. 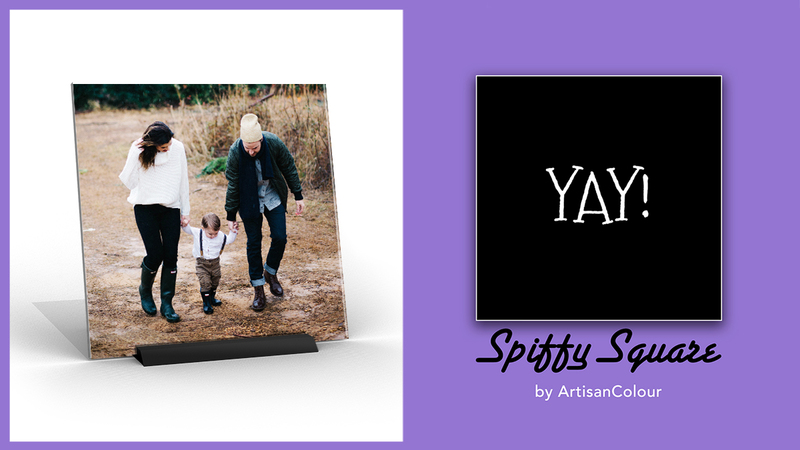 SpiffySquare is a 9″ x 9″ Plexiglass print and stand, making a convenient photo gift with no need for hanging. Each SpiffySquare also comes with a custom card, which includes your photo, message, and signature. Simply download the app, upload your image, and choose or write a rhyme for the accompanying card. Sign with your finger, purchase, and send! Once you’ve set up your payment information, ordering from SpiffySquare takes less than 60 seconds. Why Send A Custom Photo Gift? The options are endless! Download the app and order your unique photo gift from SpiffySquare today. Read more about SpiffySquare, or follow SpiffySquare on Facebook.